Whitestone Gallery, Karuizawa, is pleased to announce Yuco Maruo’s exhibition: Intopia. For quite some time, Yuco Maruo had been making sculptures of beautiful characters that were developed from her clay animations. 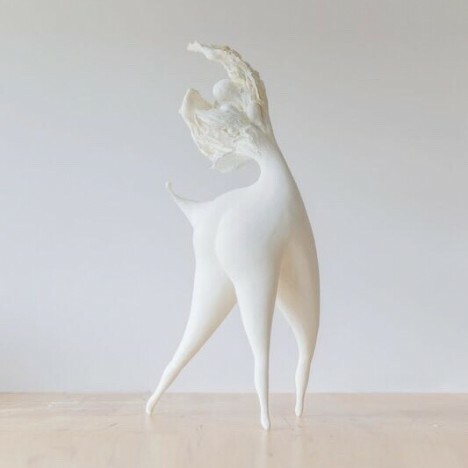 However, since the artist held her solo show in Karuizawa New Art Museum in 2016, she has been creating white shapely abstract sculptures for the past two years. In “Intopia,” she presents an extremely unique, single piece of artwork that she created by exploring and pursuing “highly refined happiness” and “the utopia in her mind that can be accessed only by her” in her inner mind. According to Maruo, things or people she encounters in her everyday life are opportunities for her to find her real self by being deeply touched by them, and the artist endeavours to continually find chances that enable her to realise her actual self. 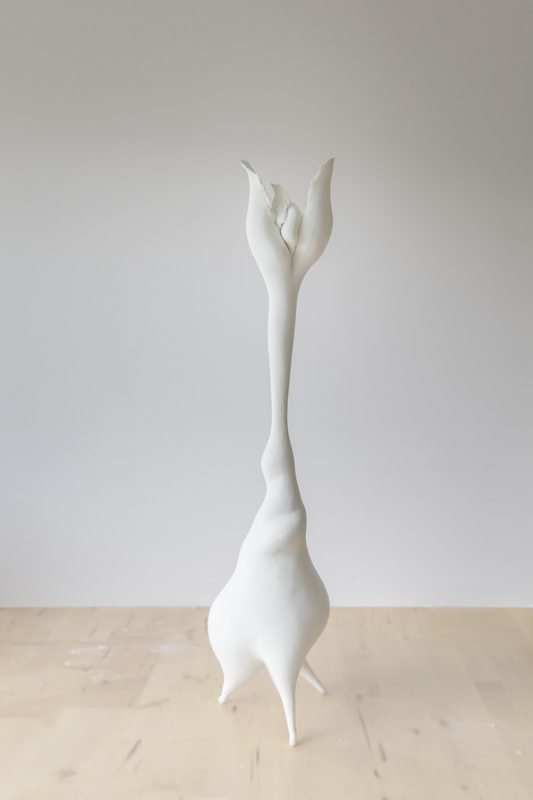 Then, she recreates the sensation she feels at such moments in the form of sculptures, which play a crucial role in observing the viewers’ inner utopia. We tend to analyse and categorise people and things we meet in our busy lives instantly. However, Yuco Maruo seeks chances to know the real self of someone by reproducing the presence that has not even been named yet, rather than just dismissing what we see in our everyday lives. We cordially invite you to this amazing chance to enjoy the unknown presence created by Maruo for this exhibition.